Campsis radicans is one of the most popular garden climbing plants, and is quite possibly an essential choice if you are planning to create a Mediterranean or cold-hardy tropical garden. 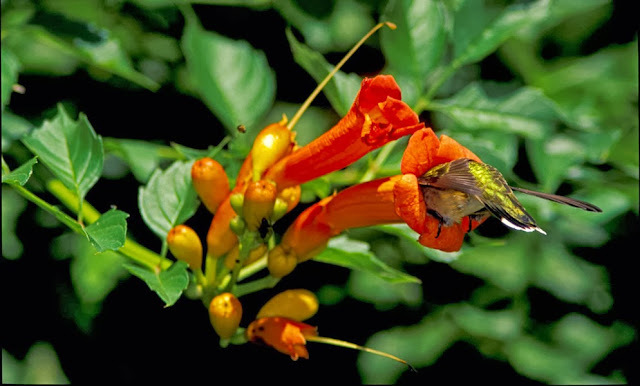 Commonly known as the 'Trumpet vine' it is a native to the southeastern United States and perfectly hardy in most northern European gardens. While container grown specimens can be planted an any time of year, so long as the ground isn't frozen, they are best planted anytime between November and March. This gives the root-ball time to establish before the new growth takes off in late spring. 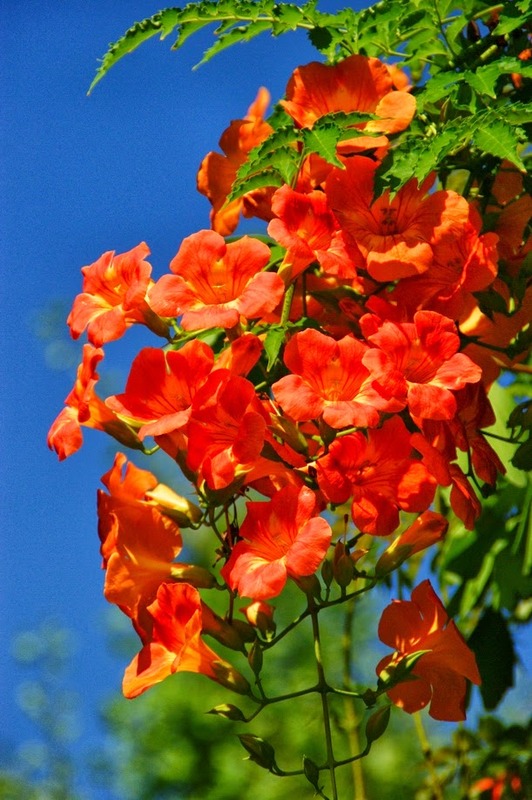 Campsis radicans prefers a well-drained soil that has preferably been enriched with well rotted compost. Try to provide a sheltered site in full sun and mulch the roots to protect them from drying out. Young plants can be prone to winter damage and so it is advisable to give them a certain amount of cold protection for the first year or two. Once it has established this will be no longer necessary. Your Campsis specimen will need some kind of framework in place in order to support the vigorous growth. Hard prune established plants in February, cutting back the previous year's shoots to within a few inches of the base.